Set Up Your One Drop iOS Siri Shortcuts Today! In case you haven't heard, iOS 12 dropped recently. And with it comes lots of awesome new features. Gorgeous new app designs? Obviously. Memoji? You bet. Siri Shortcuts? Absolutely. And this is the one we're particularly thrilled about. You may (or may not) have been loving Siri already. But now, with these custom shortcuts, Siri is getting even more applicable and useful for everyday life. And, as you might've guessed, we are hopping right on board the custom Siri Shortcut train. They're live! And all you need is iOS 12. If you haven't yet updated your OS, that's the first step. Once you've gone through the install, you're ready to go! 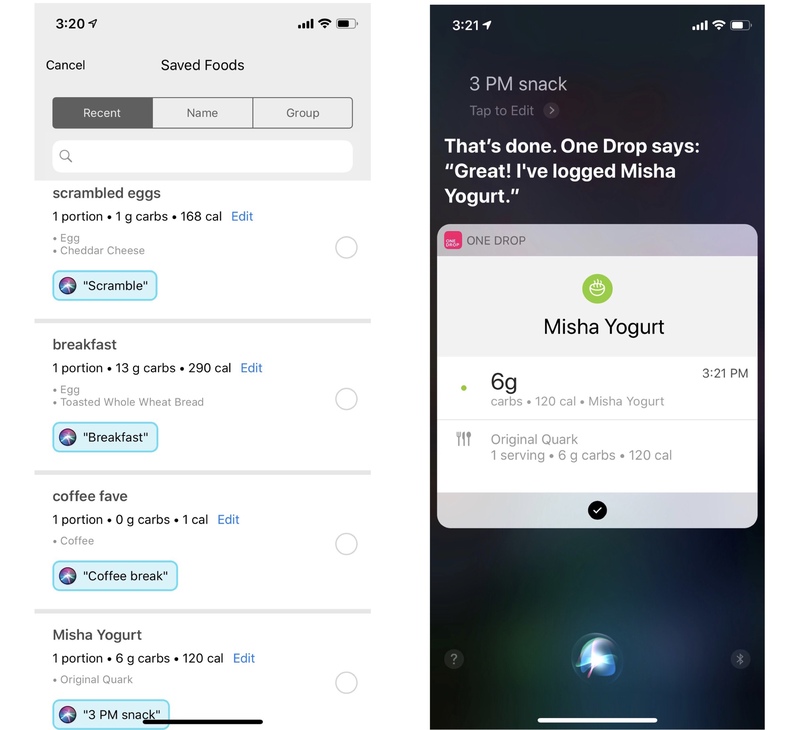 With One Drop Siri Shortcuts, you can create your very own, custom food logging commands. Food logging can be tough, so we're making it a little easier with this voice command option. And not just food logging. You can also get a quick recap of your daily blood glucose levels from Siri. Use your custom Shortcut to have Siri tell you how well you're staying in range for the day. Sound like magic? ✨ Well, it's yours for the taking. Here's how it's done. Go into your One Drop app. Open Log Food Moment (Green). Tap Add to Siri button beneath the Saved Food you'd like to add as a Shortcut. Tap the red record button. Record any phrase you want! Cancel out of your Log Food Moment. Need more details? Check out our play-by-play here. 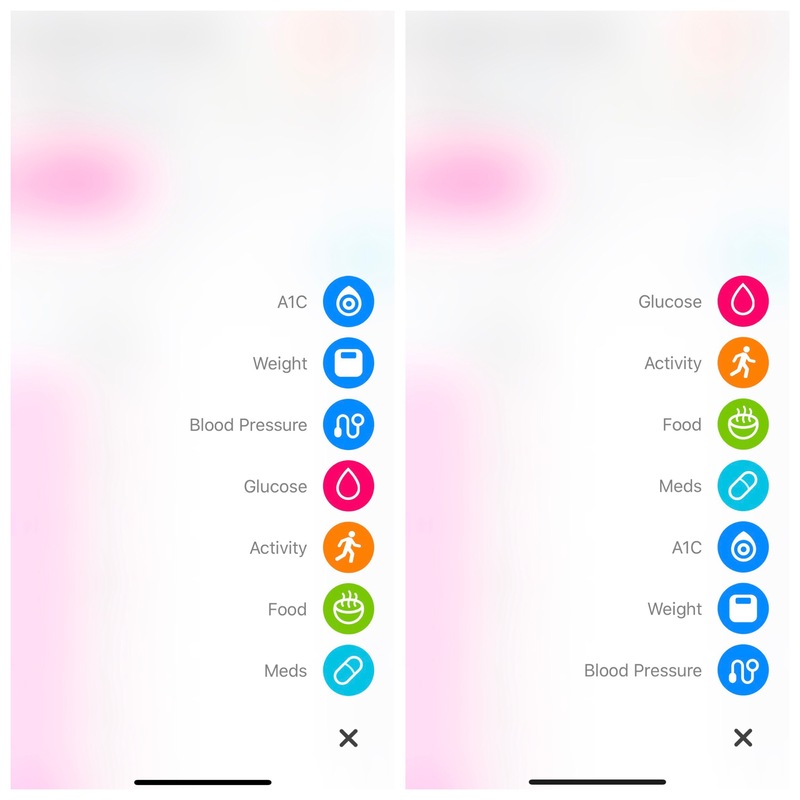 Since there's more to life than food logging, we've also got a Shortcut for average BG levels! 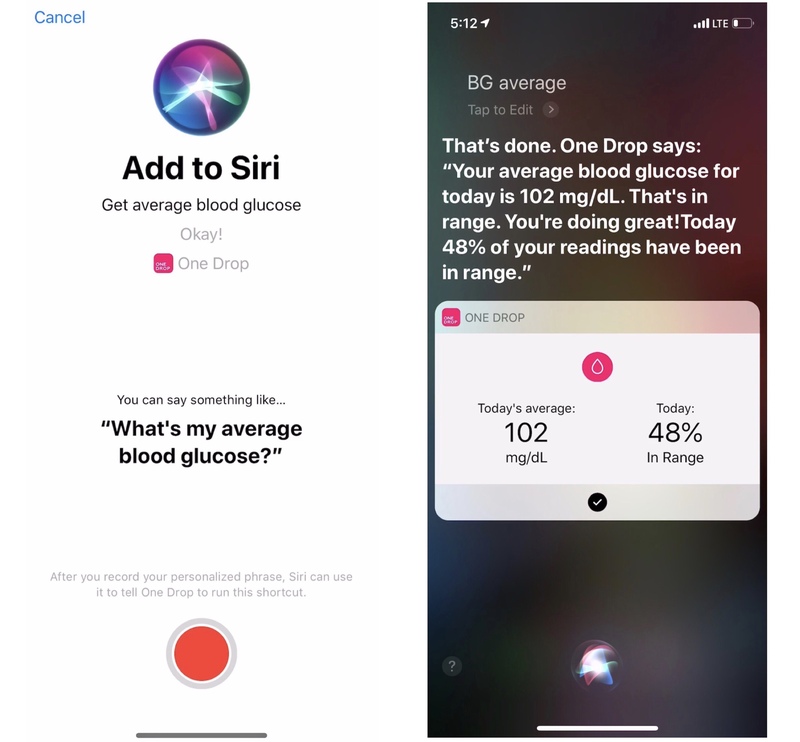 Add this One Drop Siri Shortcut to get your Average Blood Glucose stats ASAP. Here's how to add yours: 1. Go into your One Drop app. 2. Tap on your Today View so that you're redirected to your Daily Moments Analysis View. 3. Tap the Siri icon in the upper righthand corner. 4. Tap the red record button. 5. Record any phrase you want! 6. Tap Done in the upper righthand corner. You're all set! Check out this video to see how we created ours!